Equity markets have gained momentum in morning trade. 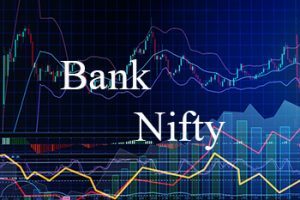 Bank Nifty climbed 212 points to trade at 26,786. Maximum gains were seen in ICIC Bank, Axis Bank, and Yes Bank, which rose between 4-2% each. Heavyweight ICICI Bank was the biggest contributor towards the gain in the index. The bank will announce its Q3 numbers today. BSE Sensex rose 128 points to trade at 35,720, the Nifty50, too, zoomed 26 points to 10,677. The market breadth is positive as 1,034 shares advanced, 562 shares declined, and 452 shares remained unchanged. ICICI Bank Ltd is currently trading at Rs360.85 up by Rs13.95 or 4.02% from its previous closing of Rs346.90 on the BSE. Axis Bank Ltd is currently trading at Rs686.95 up by Rs26.15 or 3.96% from its previous closing of Rs660.80 on the BSE. Yes Bank Ltd is currently trading at Rs203.30 up by Rs0.7 or 0.35% from its previous closing of Rs202.60 on the BSE. RBL Bank Ltd is currently trading at Rs559.50 up by Rs7.95 or 1.44% from its previous closing of Rs551.55 on the BSE.